Solar Eclipse in Leo: let your true self shine. On Monday, August 21st, we will have a full solar eclipse in Leo, activating a deep transformation which guides us into who we were truly born to be. 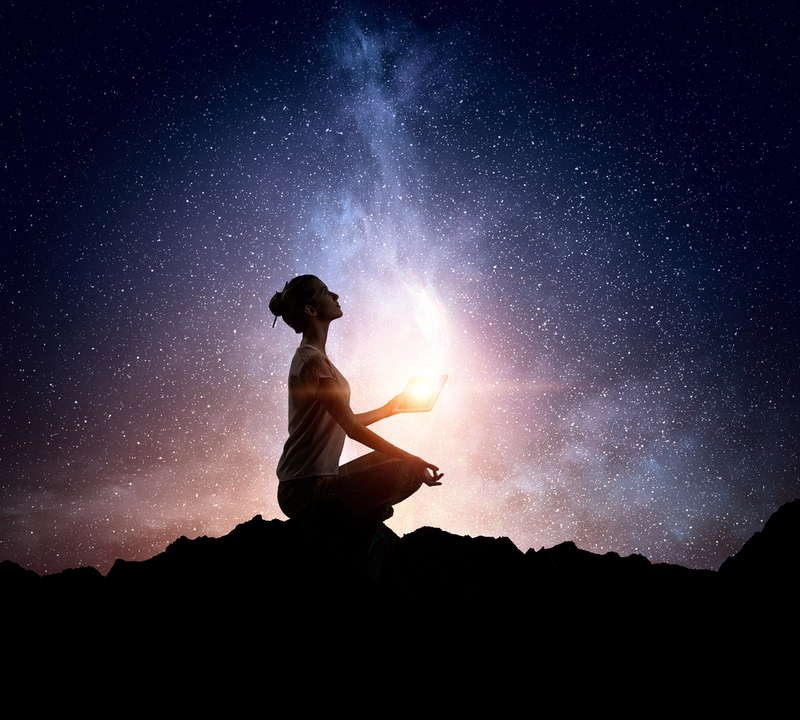 It is revealing how we can radiate more of our unique essence and creative gifts into the world, while inspiring others to also shine and stand in their light. 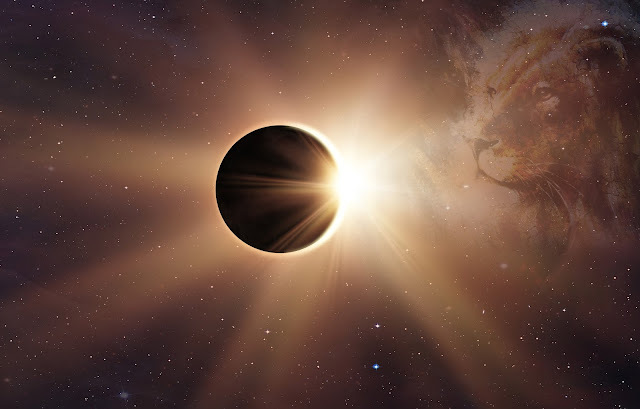 The eclipse is a temporary pause to reconnect to our creativity, lead with our hearts, ignite our passions, and thrust forward into a new beginning. A solar eclipse is essentially a new moon that is amplified. They often deliver a powerful emotional charge that may induce a lot of our triggers. New moons in general are about planting seeds, new intentions, and new beginnings. With the added power of the total eclipse here with the new moon, we are brought into a deep transformation and awareness into unconscious parts of ourselves and alignment to our path. This is a powerful new beginning that will be integrated and propel us forward for the next 6 months. Since the full moon Lunar eclipse on August 7th, we are being guided more and more into what we need to let go of or end, before we embark on the new. This is a time for deep reflection and some inner Feng Shui. In order for something new to come in, something old needs to die. Think back to around August 7th; what has come into your awareness on what isn’t working? What needs to end, or be let go of, before this new beginning can emerge? Often we remain unclear because the change required could be quite painful or will lead to a massively different lifestyle than how we are currently living. Keep following the thread of the awareness into this question and continue to go deeper, under the surface of what wants to be revealed or ended. What is the real change that is required for our growth? This eclipse is happening on August 21, at Leo 28° 53’. Leo is ruled by the Sun. The Sun is the life-force, our unique creative expression of who we are. Leo is the artist, the performer, the laugher, and the roaring life of the party. Those moments are when we are ignited by our passion and truly following our heart. Leo archetype here asks us how we can stand more in the fullest expression of our creative and unique self? Where can we heal from the past when our uniqueness, creativity, and light was stomped out by others? Where have you shutdown your own light? Where have others shut down your light? How can you once again reclaim your light (and right to shine) while illuminating the light in others? How can we rise together and shine our unique expressions? Where is there creative potential ready to be born? Where are you being guided by your heart? Where do we need to incorporate more play, creativity, and fun into our lives? Leo is the energy of the creator. It is a fire sign and a spark of divine life force. This Leo eclipse reminds us that what we put out to the universe comes back to you. What you put out now during this time is very powerful. Is what you are putting out there what you really want to create? If not, where does this need to be tweaked or adjusted? Now is the time to reflect on this and bring yourself more into alignment. All archetypes have a more empowered light side to them and a more unconscious shadow side. No archetype in itself is bad, or a “shadow archetype”. As one builds more conscious awareness, self esteem, and empowerment, one can move more and more into the empowered version of each archetype. We have both the shadow and the light from within us and also collectively. This eclipse symbolizes the darker, more unconscious aspects, as we are brought to a moment when the light is blocked from our view. The moment of darkness initiates us into the shadow archetypal patterns of Leo. One example being highlighted politically is the archetype of the Shadow King or Queen. This is the ruler that needs to dominate others as a dictator. In the shadow form, the Shadow King/Queen sinks to the corruption of power, and we see the tyrant emerge. To work with the King/Queen Archetype, ask yourself, where have you given your power away to a dictator that doesn’t have your best interests at heart? Who is ruling you or blocking you from truly shining? Where do you need to show up fully and claim authority in your life? Where have you been misled and need to start thinking for yourself? Another Leo archetype is the Vampire. Vampires feed off of the energy and life force of others. They are especially seductive to trusting and caring people, victims, co-dependents. They prey on those that have bad boundaries. Behavior patterns such as chronic complaining, co-dependency, and holding on to a relationship emotionally or physically long after it has ended, are all signs of the Vampire. They can be a drain to those around them, and you will feel literally depleted of all life force after spending time with one. Vampires have to be invited in, and there is a seductive power to powerless dance in the energy of this dynamic. Also, Vampires can’t see their own reflection in a mirror. They are unable to see themselves, symbolizing narcissism. To work with the Vampire Archetype, ask yourself, what people or groups are draining your life-force? Where am I still holding on emotionally, psychically, or physically to a relationship dynamic that has long met its expiration date? Where do I need to set a boundary with the relationships in my life and stop being a willing blood donor? Look for patterns of narcissism where one cannot see themselves. Where are these narcissistic patterns within me? The last time that there was a solar eclipse in Leo it was in August of 1998. That was 19 years ago. What new creative beginning was unfolding for you then? What new direction is parallel to that time. What unlived creative potential is calling for you now? To understand more of the specifics themselves emerging for you, look to where 28-29° of Leo is in your natural chart. What house is it in? The natal chart is like a pie cut into different pieces. Each piece is called a house and represents a different area in your life. Looking to where 28-29° Leo is in your chart will tell you the area of your life where your new creative beginning is emerging. If you have any planets within 5° on either side, the eclipse will be more animated for you. Also, look to the same degree of planets that are in the fixed signs of Taurus, Scorpio, and Aquarius. If you have planets there, they will be activated, and so will part of the dialogue of your soul contract, pertaining to what is waking up and how you can express more of who you are in the world.